System crash, file corruption, virus infection...could take hours to days to troubleshoot. 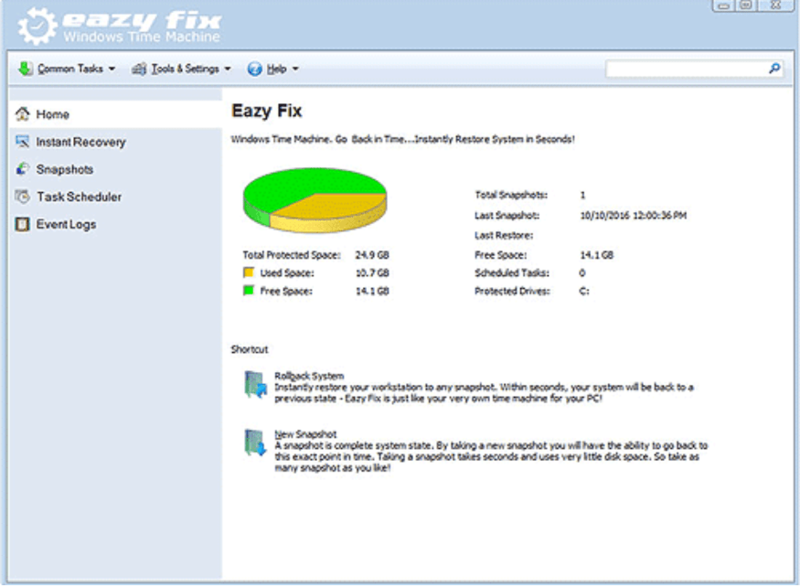 Eazy Fix eliminates the hassle and headache of troubleshooting common PC problems by instantly returning the PC to hours or days before the onset of the problems. Don&apos;t waste your time troubleshooting PC problems!  | What is Eazy Fix (easy fix)? Eazy Fix is a Windows Time Machine, it can instantly undo PC software problems by rollback PC to last hour, yesterday, last week or last month. Eazy Fix lets computer users, regardless their skill levels, to easily and quickly fix computer problems in seconds.  | Who can use Eazy Fix? 1 minute to setup Eazy Fix on a PC. 5 seconds to create a system snapshot. Each snapshot contains 100% of O.S. user data, programs and settings. 10 seconds to rollback the PC to a snapshot even if Windows fails to boot up. | What can Eazy Fix be used for? Use Eazy Fix to remove unwanted software installation and completely erase your tracks of surfing Internet. Eazy Fix does not require hidden partition or reserved space to install. Eazy Fix continuously protects your PC from any known or unknown software threats. Eazy Fix can take a snapshot of PC regardless the hard disk size and system size in less than 5 seconds without interrupting your work. Eazy Fix can rollback to a snapshot in less than 10 seconds even if Windows fails to boot up. Eazy Fix can restore user data up to the minute of system crash. Eazy Fix works as if it&apos;s not even there, it doesn&apos;t require user to do anything. Eazy Fix is simply the easiest, fastest and arguably the best PC time machine solution in the market and chosen by millions of users worldwide. Eazy Fix Supports both 32 and 64 bit of Windows XP, Windows Vista, Windows 7, Windows 8.x and Windows 10 (MBR or GPT disk; Legacy or UEFI BIOS).